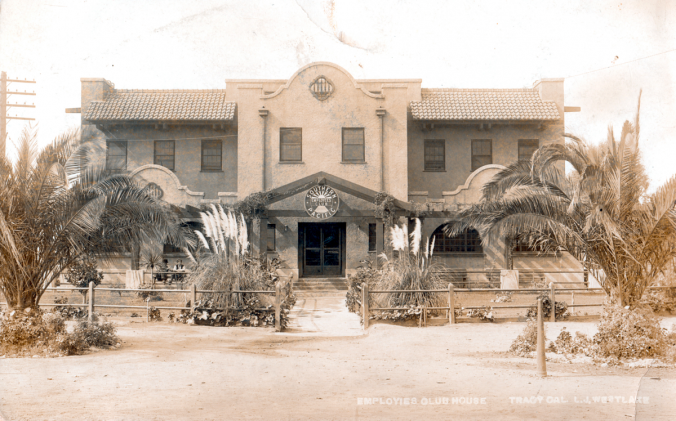 The distinctive structure remained in place until the early 1960s, when it — and most of the other structures around it, including the adjacent passenger depot and yard tower — were brought down. 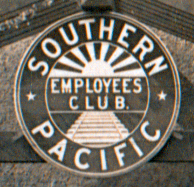 Below: what is believed to be an even earlier postcard view of the Southern Pacific “Railway Club,” as it is designated on the front-porch sign. 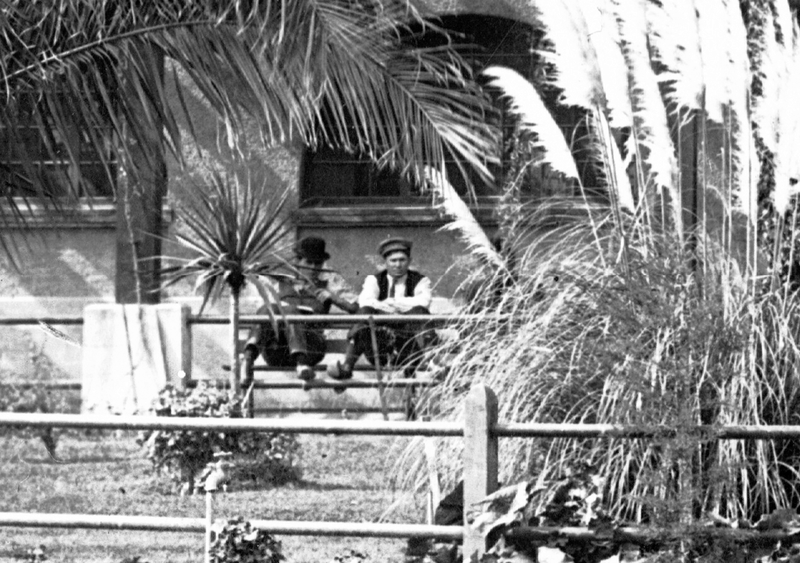 That it’s an earlier photo is based on the absence of the fancier SP Employees Club logo/sign and the lack of mature decorative vegetation in the front yard. 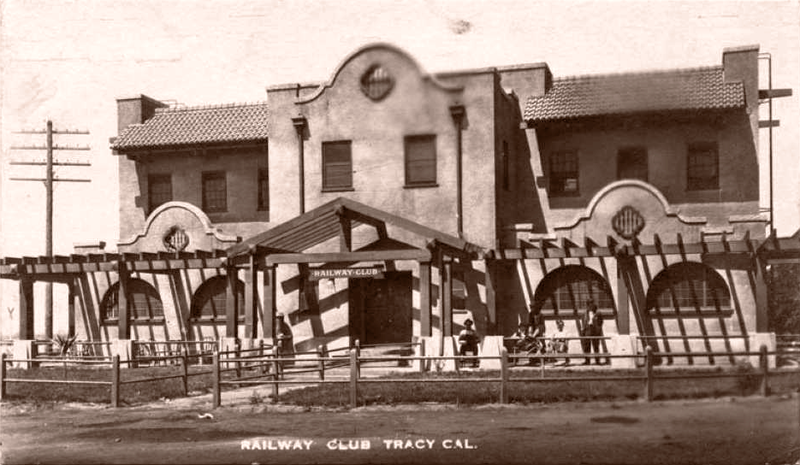 All photos from the Railtown Tracy Collection.